have never been convicted of a felony or offense against the election laws; OR, if previously convicted, have served the entire sentence, including probation or parole, or have received a pardon for the conviction. Registration is closed for thirty days prior to any election. Voters who have moved from one county to another must be registered to vote in their new county by the deadline. Current registered voters who may have moved within Pickens County or changed their name should update their registration information by the deadline. April 9, 2019 Must be a resident of the Town of Central at least 30-days prior to the election. There is no length of residency requirement in South Carolina in order to register to vote. You must be registered at least 30 days prior to any election in order to vote in that election. You must be a resident of a city for at least 30-days to vote in its municipal election. Registration by mail applications must be postmarked at least 30 days prior to that particular election to be eligible to vote in the election. 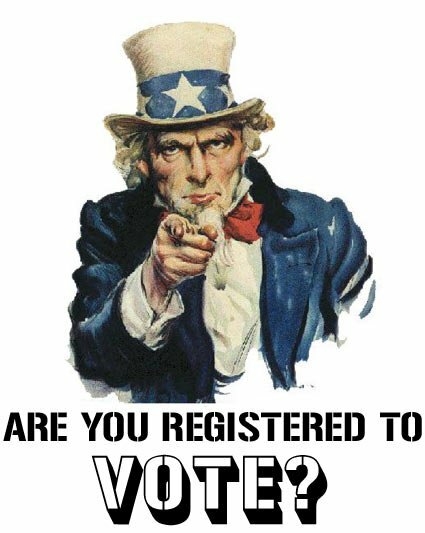 How can I register to vote (or update my voter registration information) in Pickens County? No paper work to mail in. Online applications must be submitted on or before the deadline to be valid for any specific election. Online voter registration does not “turn off” at the deadline. Applications submitted after the deadline will be processed but will not be valid for that particular election. for the purposes of registering to vote, the following are considered utility bills: electricity/power, cable, satellite, natural gas, internet, and telephone bills. If you do not provide this identification at the time you register, you will be required to provide this information when you vote. Voters who are age 65 and over, voters with disabilities, members of the U.S. Uniformed Services or Merchant Marines and their families, and U.S. Citizens residing outside the U.S. are exempt from this requirement. Notify our office staff if you believe you are exempt from providing ID. OPTION #3: DOWNLOAD THE FORM BELOW to register to vote or change your address and/or other information. You must then email, fax, mail, or otherwise deliver the completed application to our office. Scan the completed application and save it as a PDF document (.pdf). Then you can send it to us as an attachment by email to [email protected]. Attachments cannot exceed 4mb in size. The application must be received by our office by the deadline to be valid for a particular election. Applications received after the deadline will be processed but will not be valid for that particular election. Fax the completed application to 864-898-5637. The application must be received by our office by the deadline to be valid for a particular election. Applications received after the deadline will be processed but will not be valid for that particular election. Mail the completed application to our office. The application must be postmarked by the deadline to be valid for a particular election. Applications received after the deadline will be processed but will not be valid for that particular election. OPTION #4: VISIT A PARTICIPATING MOTOR VOTER AGENCY – State and federal laws, including the Motor Voter Act, dictate that the S.C. Department of Public Safety’s Division of Motor Vehicles must offer voter registration to all citizens. Other agencies also mandated to offer voter registration include military recruitment stations and various other federal and state offices. However, you must also be a client at the location where you want to register. When you complete your voter registration application at these offices, they must submit the application to our office for approval and processing. It may 6-weeks or more from your submission of a voter registration application at a Motor Voter Agency before your application is processed by our office and a voter registration card is mailed to you. South Carolina does not have registration by political party. If I register, will I also be called for jury duty? Potential jurors are randomly selected from voter registration lists as well as driver's license and DMV identification lists. Your chances of being selected for jury duty are just as great if you have a South Carolina driver's license. Voting is a right, don't give it up to try to avoid jury duty. Individuals who are not yet 18-years-old, but will turn 18 before the next election, and who otherwise qualify to vote, have the right to register to vote. To vote in the election, these citizens must register to vote by the voter registration deadline for the election. Important Note About Primary Elections: Citizens who will turn 18-years old on or prior to the General Election may vote in all proceeding related primary elections even though they may only be 17-years old at the time as long as they register to vote by the voter registration deadline for the primary elections. ATTENTION CLEMSON UNIVERSITY STUDENTS: If your address is “_____ University Station Clemson, SC 29632” please know that this is a mailing address ONLY. We need the physical address (E-911 address) of your dorm or apartment you reside in. You may use the University Station address as your mailing address. (A) A person's residence is his domicile. "Domicile" means a person's fixed home where he has an intention of returning when he is absent. A person has only one domicile. HISTORY: 1999 Act No. 103, Section 1, eff June 30, 1999; 2011 Act No. 27, Section 1, eff May 18, 2011. Any person who is convicted of a felony or an offense against the election laws is not qualified to register or to vote, unless the disqualification has been removed by service of the sentence, or unless sooner pardoned. Service of sentence includes completion of any prison/jail time, probation, and parole. Federal and state courts provide the SC State Election Commission (SEC) with lists of persons convicted of felonies or crimes against the election laws. Those persons are deleted from the state’s list of active, registered voters. The SEC notifies each voter whose name is deleted from the list. Voters have 20 days from the date the notice is mailed to appeal. Appeals must be made to the SEC. Once a person who was convicted of a felony or offense against the election laws serves his sentence; he may register to vote. To register, the applicant must submit a new voter registration application to his county voter registration office. To participate in any particular election, the applicant must submit the application prior to the 30-day voter registration deadline for that election. In applying, the registrant is swearing under penalty of perjury that he is qualified to register, including having completed his entire sentence. County voter registration boards must be satisfied that the applicant meets the qualifications; and in some cases, could require a person who has lost his voting rights due to conviction to provide some proof that he has completed his sentence.